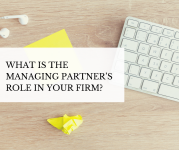 What is the Managing Partner’s Role in Your Firm? Close to 90 percent of the NC law firms that participated in this year’s Managing Partner Summit have a designated Managing Partner or Managing Committee. That shouldn’t be terribly surprising. It was a Managing Partners gathering, after all. But two-thirds of those firms don’t have a formal job description for their Managing Partner. And three-quarters haven’t named a successor or figured out what will happen when the current manager steps down. Those are some of the findings from a survey of firms that attended the inaugural NC Managing Partners Summit back in May. Leaders from 64 law offices across the state convened at the NC State Bar building in Raleigh to exchange ideas on how to survive – and thrive – in a rapidly changing legal environment. Speakers talked about succession planning, growth strategies and client development. Panelists swapped ideas on technology, office design and talent management. Attendees brainstormed what works – and what doesn’t – in their offices. “When we learn from each other, all of us benefit,” says Camille Stell, Vice President of Client Services at Lawyers Mutual, which sponsored the event. What is the Job Description for the Managing Partner? Eighty-eight percent of attendees said their firm has a Managing Partner, and 49 percent have a Management Committee. But 66 percent have not prepared a Managing Partner job description, 75 percent don’t have term limits for the position, and 73 percent have not identified a successor. 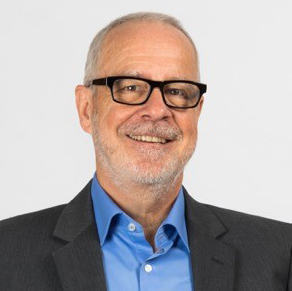 Even more striking, a whopping 77 percent said they are not actively identifying, mentoring and training the next generation of leaders for their firms. What are the Managing Partner’s Duties? Staying abreast of cash flow. Want to learn about upcoming programs like the Managing Partners Summit? Contact the Client Services Department at Lawyers Mutual.